Park Forest, IL—(ENEWSPF)—Labor Day, a national holiday celebrated on the first Monday of September, is unlike most U.S. holidays as it is a celebration without rituals, except for shopping and barbecuing. For most people it simply marks the last weekend of summer and the start of the school year. The holiday’s founders in the late 1800s envisioned something very different from what the day has become. If you are still looking for something to do on Monday, you might want to head over to historic Pullman in Chicago where the holiday was born. You can join labor activists from the Pullman community and throughout Chicago to kick off their efforts to establish a monument to honor Eugene Debs, pioneering union leader who played a crucial role in the Pullman strike and in organizing railroad workers. There will be food, music, walking tours of Historic Pullman, and opportunities for tabling of books, labor-related materials, and publicizing social justice issues. 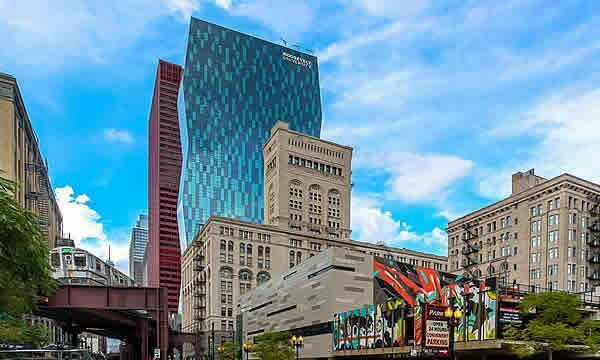 The event will take place from 3 p.m. to 6 p.m. at the Pullman National Monument in front of the Florence Hotel, 11111 South Forrestville in Chicago. You’ll find additional information about the Pullman celebration in the ‘Arts & Entertainment’ section. The League of Women Voters – Park Forest Area will be hosting its Fall Kick-Off Pot Luck Dinner on Wednesday, September 13 at Park Forest Village Hall, 350 Victory Drive in DownTown Park Forest. Following the pot luck dinner a guest speaker will provide an update on health care in the Southland. Come for an evening of good food, lively conversation and an informative presentation. You’ll find additional details about the event in the ‘This & That’ section. We’ve all witnessed the devastation that has occurred in Texas and Louisiana as the result of Hurricane Harvey. While the rain has stopped, there are still thousands of people living in shelters and with those kind souls that have opened their homes to the victims. As we unfortunately know from the experience of Hurricanes Katrina and Sandy, it will take months and probably years before these impacted people get back to normal. There have been plenty of heroes like the emergency responders and everyday citizens from all over the country that arrived on the scene with their boats in tow to help rescue people and their pets, it’s now your chance to become a hero too. You can make a donation to any one of the numerous reputable charities that are specifically helping out the Hurricane Harvey victims or donate blood. You’ll find out information about how you can help here. This link also provides some good tips from Attorney General Lisa Madigan on how to research a charity you may not be familiar with before making a donation as unfortunately, disasters have a way of bringing out the low-life element that will be trying to make a buck off this horrible tragedy. So if you can, please help. You never know when you might be in need of the same someday. Park Forest Village Hall will be closed on Monday, September 4 in observance of the Labor Day Holiday. Star Disposal will be closed on Monday, September 4 in observance of Labor Day. There will be no residential garbage, recycling or yard waste service performed on Monday, September 4. All service will be delayed one day for the remainder of the week. Residents are reminded to have all garbage and yard waste at the curb one day later than your regular pick-up day. 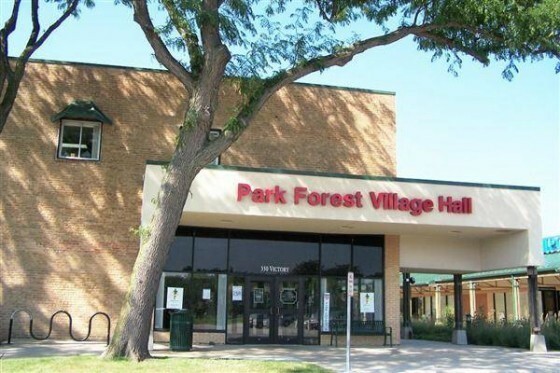 The Village of Park Forest Board will meet on Tuesday, September 5 at 7 p.m. In addition, the Board will hold a Saturday Morning Rules meeting at 10 a.m. on September 9. The meetings will be held at Village Hall, 350 Victory Drive. Residents are encouraged to attend. Board meetings air live on cable access channels (Channel 4 for Comcast subscribers and Channel 99 for AT&T subscribers). On Friday, September 15 at 7:30 p.m., the Center for Performing Arts will present ‘Decades Rewind.’ ‘Decades Rewind’ is a National touring concert, dance party and theatrical performance all wrapped up in one blockbuster show! It celebrates the hits of the 60s, 70s and 80s, the most prominent decades in music history. Disco, Funk, Rock and Motown all take center stage in this brand new theatrical concert featuring over 60 songs, 100 costume changes and nostalgic video. From Aretha to Zeppelin, ‘Decades Rewind’ will have you singing and dancing in the aisles. This IS the story of your life! Tickets are priced at $49.50/$45.50/$36.50, with discounts available for students ($10 tickets), seniors 65+ ($25 tickets), groups of ten or more, and patrons purchasing three or more shows (15% off). Box Office Hours: Monday- Friday 10 a.m. to 4 p.m. (open until 6 p.m. on Thursdays) and 2 hours prior to all performances. Parking is free. For best GPS directions, always use the location search term “Governors State University” only. Monday, September 4 – Closed for Labor Day. Tuesday, September 5 at 10 a.m. – Knot Just for Knitters at Benton St. Bakery – Share camaraderie while working on knitting, crocheting or any other type of needlework project. For adults. Wednesday, September 6 at 3 p.m. – Microsoft Word 2017 Basics – Learn about formatting text, paragraphs, and spacing; printing; spell check and other common tasks in this hands-on class. Pre-registration required. Wednesday, September 6 at 3:30 p.m. – Library Teen Council (LTC) Meeting – Bring suggestions for books to order or programming you want to attend. New members welcome. Thursday, September 7 at 3 p.m. – Teen Board Game Afternoon – Drop in to play board games, card games, or even tabletop RPG games. Feel free to bring your own games. Thursday, September 7 at 6:30 p.m. – CRAVE (CRete Area Voracious Eaters) Club – Prepare and bring a dish based on the month’s theme of summer veggies, then share samples and recipes with club members. Thursday, September 7 at 7 p.m. – Teen Open Mic Night – Perform music, tell jokes, make art, read your writings, or just hang out with friends. All teens are welcome. Friday, September 8 at 3 p.m. – Anime Club – Join us for anime screenings, trivia contests, and manga-inspired games for teens. For additional information or to register for an event, call 708-672-8017 or visit www.cretelibrary.org. In the 1970s, artist Senga Nengudi would carry pantyhose and other supplies for her “R.S.V.P.” series of sculptures around in her bag. Born in Chicago and a pioneer of performative art, Nengudi would stage choreographic actions within the works of nylon and sand. DePaul Art Museum will host a touring exhibition of Nengudi’s work, including documentation of her earliest performances. “Senga Nengudi: Improvisational Gestures” will be held on DePaul University’s Lincoln Park Campus September 7 through December 10 and is co-organized by Museum of Contemporary Art Denver, and the Gallery of Contemporary Art at University of Colorado, Colorado Springs. The exhibition is co-curated by Windgate Research Curator Elissa Auther of the Museum of Design, and Nora Burnett Abrams of MCA Denver. Nengudi and Abrams will give a gallery talk September 9 at 2 p.m. and will discuss the exhibition and the artist’s practice over the last four decades. Performers will activate works in the “R.S.V.P.” series of sculptures immediately following the talk. The museum is located at 935 W. Fullerton Ave. Hours are 11 a.m. to 7 p.m. Wednesday and Thursday; 11 a.m. to 5 pm. Friday; noon to 5 p.m. Saturday and Sunday. The museum is closed Monday and Tuesday. Admission is free. Additional information at http://museums.depaul.edu​ or 773-325-7506. On Friday, September 8, GSU will host its First Annual Car and Motorcycle Show. Sponsored by the Department of Public Safety and the GSU Library, all proceeds will benefit Special Olympics Illinois. The event runs from 4 – 8 p.m. in east lots 2 and 3 on the campus of Governors State University. Specialty car and motorcycle owners are invited to participate. Those displaying their vehicles will have an opportunity to receive an award, get goodie bags, a dash plaque, and door prizes. A donation of $10 is being requested to display one’s vehicle. This event will be family and child-friendly, and there is no entry fee for spectators. The event will take place rain or shine, and 100% of all proceeds will go to Special Olympics Illinois. For more information, call 708-534-4900 or contact Lee Taylor at [email protected]. The Nathan Manilow Sculpture Park at GSU and Limelight Catering share a passion for sustainable green practices. On Saturday, September 9 from 3:30 – 6:30 p.m., they unite to bring the Southland an event like none before–a farm-to-table dinner in the midst of the prairie among giant contemporary sculptures. Honorary Chairs Gary and Denise Gardner (of Know Your Chicago) and the Nathan Manilow Sculpture Park Board invite you to Sculpture, Wine, and Dine, a fundraising event to sustain the park’s community and educational programs. The event is hosted by Wayne Johnson, known for NBC 5’s Wayne’s Weekend and winner of The Today Show’s “Domestic Diva” contest. The Nathan Manilow Sculpture Park, lauded as one of the top ten outdoor sculpture parks in the world, presents significant large-scale public art, inspiring visitors to experience art and nature in new and unexpected ways. Featuring a locally-sourced menu from Limelight Catering, guests will experience the finest in the culinary arts accompanied by an unparalleled setting surrounded by sculpture. Tickets are $125 per person. Guests are invited to stay for an Afterglow Party starting at 6:30 p.m. that includes live music, wine, coffee, and dessert on the Patio near E-Lounge. The NVAM is proud to present its upcoming exhibition,’ Portraits and Memories: Legacies of Service’ by Chicago-area artist Jeanine Hill-Soldner. ‘Portraits and Memories: Legacies of Service’ will be on display through Saturday, October 28th, 2017 with an opening reception Friday, October 25th from 6 p.m. to 9 p.m. The exhibit will showcase two series of oil paintings: ‘Portraits of American Veterans,’ and ‘Memories of an Era: Reflections of Our Time.’ ‘Portraits and Memories: Legacies of Service’ presents a unique perspective on an experience of military service that is often overlooked–that of the spouse, parent, sibling, or child of an active duty service member or veteran. The juxtaposition of veteran portraits with scenes of family life highlights an integral aspect of military culture that is rarely explored. Jeanine Hill-Soldner grew up in a military family. Her father, Sgt. Maj. Dan L. Hill, was a 30-year U.S. Marine Corps Veteran who served in WWII, Korea, and completed two tours in Vietnam. After he passed away, the artist felt compelled to create work that honored his service and experiences along with those of other military veterans and members of their communities. Personal stories and memory are integral to her work as Hill-Soldner links the experiences of veterans and those of their loved ones through a poignant visual program. For more information about the National Veterans Art Museum, visit www.nvam.org, or call 312-326-0270. The 1950s Park Forest House Museum, at 227 Monee Road (inside St. Mary’s Catholic Church), Park Forest, Illinois, invites you to “Step Back into a 1950s.” The Museum is open Wednesday and Saturday, 1 to 3:30 p.m.; other times by appointment. One room represents a classroom in Forest Boulevard School, which was set up in a row of townhomes. Admission is Adults $5; children 12 and under free. Park in the small lot by the flagpole and knock on the classroom door next to the museum sign. A guide will tell village history, and social and fashion trends of the era. Special tours can be arranged by calling Jane Nicoll, 708-481-4252, or Michael Gans, 708-305-3308. Information on the society and museum, and email contact is at www.parkforesthistory.org. 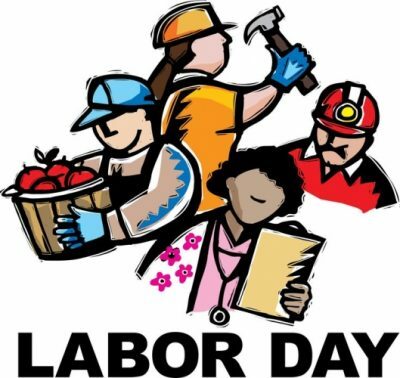 The Park Forest Public Library will be closed on Monday, September 4 in observance of the Labor Day Holiday. Tuesday, September 5 at 3:30 p.m. – Art Studio — Drop in and discover your inner artist with one of our guided projects. Tuesday, September 5 at 4 p.m. — Color-Rama! Coloring Circle – Our grown-up coloring circle is the perfect way to step back from the stress of everyday life and enjoy some relaxation! All supplies will be provided. Tuesday, September 5 at 6:30 p.m. – Night Time Storytime — Back by popular demand with a Brand New name! Jam out in your PJ’s with stories, crafts, music and more! For ages 12 and under. Wednesday, September 6 at 11 a.m. – Lap Sit Story Time — Join us for a weekly story-time designed exactly for your baby. Parents or caregivers are invited to read, sing and grow. This program is geared toward babies 0 – 36 months with an accompanying an adult. Wednesday, September 6 at 3:30 p.m. – Comic Creations — Be inspired to become a graphic novelist/comic creator! Each week explore ways to create comic strips, books, graphic and more. Wednesday, September 6 at 4 p.m. – Color Me Happy Adult Coloring — Our grown-up coloring circle is the perfect way to step back from the stress of everyday life and enjoy some relaxation! All supplies will be provided. Wednesday, September 6 at 4 p.m. — Locker Decorations for Teens — Start your school year out right! Join us for different locker decorating projects! Thursday, September 7 at 11 a.m. – Toddler Art — It’s All about Pete the Cat. Let’s get crafty with our favorite Cat! Thursday, September 7 at 3 p.m. — kids’ zone Book Tasting — Share your love of reading with the kids’ zone “Book Tasting.” Each week “sample” a variety of literary genres to find your preferred “tastes” in reading. Thursday, September 7 at 3:30 p.m. – Drawing Theory — Do you enjoy Drawing and Sketching? Learn how to draw your favorite animations and more. For ages 12 and under. Friday, September 8 at 10:30 a.m. — Seed Collecting for Monarch Wings Across the Eastern Broadleaf Forest — Join in our effort to save the Monarch butterfly! We’ll be collecting seed from milkweed and nectar plants that support the life cycle of the Monarch. Seed we’ve collected will be sent to the Pollinator Partnership – a multi-state effort to increase Monarch populations in the United States. Friday, September 8 at 3 p.m. – Teen Game Day — Show off your competitive side with your friends! From board games to video games, there will be plenty of fun! Friday, September 8 at 3:30 p.m. – Color Me Happy (for kids) — Travel to a world of relaxation and endless creativity. Color yourself happy in our kids’ coloring circle. Saturday, September 9 at 1 p.m. – Drop In Craft Day — Drop in to kids’ zone and see what we’re creating today! PSC’s Christopher Art Gallery will host the ‘Annual Photographer of the Year and Student Exhibition.’ The exhibit will feature the works by Jessica Heing, Photographer of the Year. The exhibit will run through Thursday, September 14. The exhibit is free and open to the public. Gallery hours are Monday through Thursday from 9 a.m. to 3 p.m.; Wednesday and Thursday Evenings from 5 p.m. to 7 p.m. and by appointment. For additional information or to schedule and by appointment, call 708-709-3636 or visit www.prairiestate.edu. PSC Music Department invites students and community members to participate in PSC’s music ensembles this fall. Ensembles explore a variety of music styles and are open to the college community, whether participants are majoring in music or not. Beginning Sept. 9, the Latin Music Ensemble (Latin Jazz), directed by Ruben Alvarez, will meet on Saturdays from 10 a.m. to 12:50 p.m. in room 105 of the K Building (K-105), located on the north side of Vollmer road across from the college’s main campus at 202 S. Halsted St. in Chicago Heights. On Sept. 11, the Wind Ensemble, directed by Phil Crews, will meet on Mondays from 6:30 to 9:40 p.m. in K-105. Performers interested in joining the Wind Ensemble must be playing at an intermediate or higher level. Jazz Choir, directed by Toni Elliot Bell, will meet on Mondays from 6:30 to 9:40 p.m., beginning Sept. 11, in room 3275 of the main building. Veteran jazz musician Eugene Vinyard will direct the Jazz Ensemble on Tuesdays from 7 to 9:50 p.m., beginning Sept. 12, also in room 3275. The Concert Choir, directed by Jo Rodenberg, will meet on Tuesdays from 7 to 10 p.m., beginning Sept. 12, at Temple B’nai Yehuda Beth Sholom, located at 1424 183rd St, in Homewood. To join the choir, an audition is required. To set up an audition, call 708-709-3742. The fee to join each ensemble is the cost of one credit hour at the college and offers one college credit for performers who are interested. Performers ages 65 and older can take the credit courses at no charge. An audition for placement may be requested. For more information, contact Valerie Nicholson, Coordinator, Performing Arts/ Professor, Music at [email protected] or call 708-709-3742. PSC and KLLM Driving Academy, Inc. are hosting a Touch-a-Truck community event on Saturday, Sept. 23, from 10 a.m. to 1 p.m., at the college’s Transportation, Warehousing, and Logistics Building, located at 191 S. Halsted St. in Chicago Heights. Children of all ages can explore and touch trucks, emergency response vehicles, heavy machinery and more. Hot dogs, chips and water will be provided on a first come, first served basis. There also will be plenty of great photo opportunities and a chance to learn about programs and services offered at PSC. Because of the generous support of several community organizations, admission to the event is free and open to the public. Attendees are encouraged to bring a non-perishable food item to donate to Respond Now. Advance registration is requested at www.prairiestate.edu/cdl. For more information about the Touch-a-Truck event, contact the event coordinator at 708-709-7711 or [email protected]. In celebration of Hispanic Heritage Month, the Art & Design Department of South Suburban College is pleased to present a solo exhibition entitled ‘Silent Witnesses’ by Carmen Chami. The exhibition will be on display in the Dorothea Thiel Gallery September 6 – October 11. On September 21, Ms. Chami will deliver an art historical lecture on traditional pictorial techniques popularized in the XVII century and their relationship to her artistic techniques at 12:15 p.m. in room 4340 with an artist reception to follow at 1 p.m. Both the exhibit and reception are free and open to the public. Carmen Chami (Mexico City, 1974) graduated with a degree in Art Restoration. Her education specialized in the great Masters of the seventeenth century of New Spanish Baroque (Mexican Baroque) style and she was able to discover that it is a very particular way in which that they applied the color on the canvas with a precise order. The great masters she studied only used 8 pigments in most cases and the result was an art wonderfully rich in color and light. She translated all of this knowledge into her own pictorial language, with color being an invaluable resource and a powerful and dramatic expression. Chami’s paintings belong to important institutions such as the Mexican Presidency; Marines Secretary; National University of Mexico; Milenio Group and the National Death Museum. Chami is currently part of the National Creators System supported by the Mexican government, which obtained a grant for three years to develop the theme “Adlateres Migrantes” (Migrant Minions). Additional images and information are available at the artist’s website www.carmenchami.com. The public is welcome to visit art exhibitions and receptions at no charge. The Dorothea Thiel Gallery is located on the fourth floor and is open Monday through Friday from 9:00 a.m. – 4:00 p.m. The galleries are closed on weekends and holidays. The galleries are supported in part by the SSC Foundation. SSC is located at 15800 South State Street, South Holland, Illinois. For more information contact 708-596-2000 ext. 2316. Para Información En Español Llame: 708- 210-5740. SSC alumnus Tom Dreesen is putting together an unforgettable show titled “From Here to Hollywood” to be held in the Kindig Performing Arts Center on the college’s main campus in South Holland. This special one-night show will take place on Saturday, September 23 at 7:30 p.m. in the college’s 400-seat Kindig Performing Arts Center. General Admission Tickets are just $30 and there are limited $500 Premier Row Sponsorships available including 10 tickets with an after-show Meet & Greet. In this unforgettable performance, comedian Tom Dreesen will take you from his childhood of shining shoes in bars in his hometown of Harvey, Illinois, hearing Frank Sinatra on the jukebox, to one day touring the nation as Sinatra’s opening act, flying in his private jet and staying up with Frank till dawn, night after night. He takes you to Frank’s last performance and the last song he ever sang and then to his last days on earth. Dreesen’s keen insight to arguably the greatest career show business has ever known, and the lessons he learned from the legendary star, promises to move the audience! Dreesen is a proud Thornton Junior College (TJC) alumnus with appearances on the Tonight Show plus guest hosting for David Letterman. The show is sponsored by – and proceeds to benefit – South Suburban College Foundation. (Tickets are tax-deductible.) Purchase tickets online from www.ssc.edu/foundation or call 708-596-2000 x2463. The Kindig Performing Arts Center is located at 15800 S. State Street in South Holland. The Art & Design Department of SSC is pleased to announce a special guest artist exhibition titled “Light Rendering Space,” by artist Susan L. Moore in the Photo Four Gallery through October 5. The Photo Four Gallery is located in Room 4338 on the 4th Floor of SSC’s Main Campus. Susan L. Moore received a Bachelor of Arts from Columbia College in Chicago, a Masters in Art Education at the School of the Art Institute of Chicago, and most recently, in 2003, she earned a Masters in Fine Art from Washington University, School of Art in St. Louis, Missouri. Currently, Moore is a Professor at Indiana University South Bend where she teaches photography and serves as Chair of the Fine Arts Department. Moore’s photography has been exhibited nationally and internationally in individual shows as well as juried exhibitions. Her recent landscape images were selected for exhibition at the South Bend Museum of Art and she has received grants from the Indiana Arts Commission to support her landscape photography projects. SSC Galleries are open at minimum Mondays through Thursdays from 9:00 a.m. – 6:00 p.m., and Fridays from 9:00 a.m. – 4:00 p.m. The galleries are closed on weekends and holidays. The public is welcome to visit art exhibitions and receptions at no charge. For more information, please call 708-596-2000, ext. 2445 or visit www.ssc.edu/art. Tall Grass Arts Association exhibit ‘Creative Imaginations’ will run through Sunday, September 17. This annual show features works by of Tall Grass Juried Artists. The exhibit is free and open to the public. ‘Creative Imaginations’ features a range of media, subjects and styles and includes drawings, paintings, photographs, digital works, prints, mixed media, and sculpture from realistic to abstract approaches, from figurative to symbolic images. Gallery hours are Tuesday through Saturday from 11 a.m. to 4 p.m. For additional information or questions about Tall Grass, call 708-748-3377 or visit www.tallgrassarts.org. The Drama Group is pleased to present the Broadway thriller ‘Wait Until Dark’ by American playwright Frederick Knott and directed by M.J. Renzi. Performances will be held at The Drama Group’s Milord Studio Theatre on September 22, 23, 28, 29 & 30 at 7:30 p.m. and matinees on September 24 & October 1 at 2:00 p.m. Tickets are $20 for adults; $19 for seniors and $15 for students with ID. Group discount rates are also available. Good seats are still available. Tickets can be purchased by calling the Box Office at 708-755-3444 or online http://www.brownpapertickets.com/event/3063992 The Drama Group’s Milord Studio Theatre is located at 330 W. 202nd Street in Chicago Heights. For directions and other information regarding Drama Group activities, please visit www.dramagroup.org. USG’s exhibit 16 X 16 runs through Saturday, September 9. A reception will be held on Saturday, September 9 from noon to 3 p.m. Both the exhibit and reception are free and open to the public. Gallery hours are Wednesday & Friday from noon to 4 p.m., Thursday from noon to 7 p.m., and Saturday from 11 a.m. to 4 p.m. For additional information, call 708-754-2601 or visit www.unionstreetgallery.org. UUCC will hold its Annual Corn Roast on Saturday, September 9 from 4:30 p.m. to 8 p.m. Burgers, brats, hot dogs and veggie burgers, buns and of course sweet corn will be provided. Please bring a side dish or a dessert to share. There will be games for all ages. Live entertainment! Cost: $7 in advance, $10 at the door, kids under 3 eat free. Seating will be on the deck weather permitting. For additional information, call 708-481-5339 or visit www.uuccpf.org. Chicago Nasty Women is hosting a one-night blowout exhibition of work by Nasty Women artists on Friday, September 8 from 5:30 p.m. to 10:30 p.m. The exhibition is hosted by Stan Mansion, an architectural wonder located at 2408 North Kedzie Boulevard, in Chicago’s Logan Square neighborhood. This event brings together women, artists and change-makers across the city in support of Planned Parenthood. Women Bring Change is a nonprofit focused on raising money for causes pertaining to women. This Nasty Women exhibition aims to double the participation of a similar exhibit Women Bring Change held this May, which raised $30,000 for Planned Parenthood in 5 hours with 1700 attendees. With a venue triple in size and a fabulous line up of entertainment, this event is going to be amazing. Beginning at 4 p.m. our VIP guests will enjoy champagne and cocktails along with live entertainment, an art auction and the opportunity to purchase collected artworks for the main event before the doors open. Come be a part of this collaboration among some of Chicago’s most recognized women-owned small businesses, community leaders, artists, and activists. The main event runs 5:30 p.m.to 10:30 p.m. Nasty Women Chicago will offer works of art by hundreds of local and national women artists, sold exclusively at an evening exhibition of work by Women Artists. The main event is free to all attendees with a suggested donation of $5 upon entrance. Various interactive installations will be present throughout the 20,000 square foot event space engaging guests in an evening of art, live music and culture with the option to purchase items from local vendors including food, libations and artists. 100% of the funds raised will go directly to Planned Parenthood to continue the advocacy of honoring women’s bodies and defending women’s rights. Please RSVP by August 20 via email: [email protected] Find more information at: www.nastywomenchicago.org and http://tinyurl.com/y8ob5j4o If you are unable to attend the event, you can make a donation to benefit Planned Parenthood here. There will also be a discussion with alumni from Roosevelt’s economics program on “Economic Justice and the American Dream” (Sept. 12, 12:30-1:45 p.m.), an American Dream Service Day of volunteer opportunities (Sept. 14, 8:30-3 p.m.) and the opening of a photo exhibit, “Nowhere People: The Children” by photographer Greg Constantine from 5-7 p.m. in the Gage Gallery’s new space at Wabash Avenue and Congress Parkway in Roosevelt’s historic landmark Auditorium Building. All courses are offered free of charge. 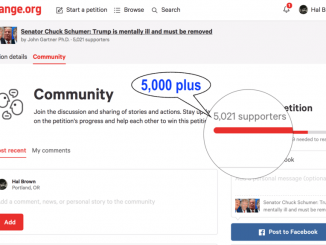 For the purpose of compliance with Section 511 of Public Law 101-166 (the Stevens Amendment) Federal funds of $395,020 provides approximately 37% of the support of these programs. Indiana residents are not eligible to participate in the Adult Education programs. The Sauk-Calumet Sierra Club Group will hold its monthly meeting on Monday, September 11th, at 7:15 p.m. at the Frankfort Public Library, 21119 Pfeiffer Rd. The program will be a new documentary on the problem of invasive species in the Great Lakes. The documentary, “Making Waves: Battle for the Great Lakes” will take viewers below the surface of the world’s largest freshwater ecosystem and into the middle of a complex war for survival. Narrated by Bill Kurtis, “Making Waves” joins researchers on the front lines as they combat invasive species and work to restore native species in an effort to prevent a biological takeover of the Great Lakes. The film’s producers, Brendan and Jessica Walsh, will be on hand to answer questions about the film and about the Great Lakes. You can see a trailer of “Making Waves: Battle for the Great Lakes” here. Sierra Club meetings are free and open to the public. People interested in outdoor activities and protecting the environment are encouraged to attend. For more information about the Club and its activities, contact Patrick Coffey at [email protected]. Butterfly Gardens: What’s All the Hype is the topic for this month’s gardening lecture that will be held on Saturday, September 9 at 10:30 a.m. at Park Forest’s Wetlands Discover Center, 30 North Orchard Drive. Is you’ve planted a few milkweed and you still don’t have any butterflies showing up, learn how you can make your garden prettier and incorporate additional plantings that will help attract butterflies. The event is free and open to the public. The Gardening Series is sponsored by the Village of Park Forest, the Park Forest Environment Commission and Thorn Creek Nature Center. Calling all schools, home school groups, day cares, preschools, youth, adult and family groups! 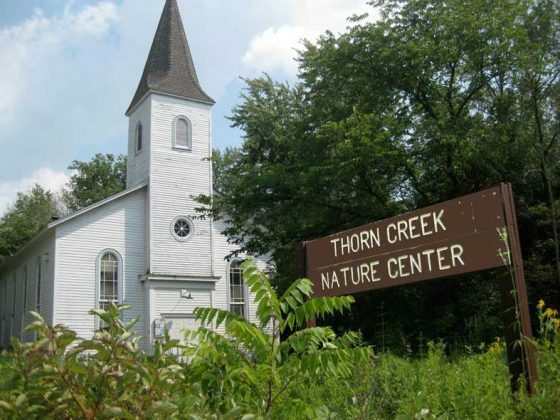 Nature Education Programs are offered at Thorn Creek Nature Center throughout the year where your group can discover the plants and animals of Thorn Creek Woods. These Nature Education Programs are sponsored by the Thorn Creek Audubon Society. The Audubon Society and the Thorn Creek Nature Center announce their new Partnership for Programming to further the Society’s environmental education mission and give valuable assistance to Thorn Creek Nature Center in providing nature programming for groups of area children and adults. Some of the nature education programs offered this year include Birding by Sight and Sound, Creek Walk (the world of aquatic insects and metamorphosis), Trees Big and Small (identification by leaves and bark), Insects (what makes an insect unique), the Web of Life (interdependence of producers, consumers, predators and decomposers), Soils Hike (how soil fuels and supports life), and Night Hikes. On the Fall Color Hike learn why leaves change colors and what trees do to prepare for the long months of winter. Discover clues to wild animals’ identities and behavior by trails and trails in Wild Animal Tracks. Make your own track replica. On Vixen’s Trek you are the fox following your daily routines on Thorn Creek trails. Or visit the Historic Farm in the woods to explore an early 1900’s woodland farm. Groups can also arrange for a naturalist to come to your location for programs such as Wild Animal Tracks, Web of Life, Woodland Wildflowers, Soils, History of Thorn Creek Woods, and the like. The new partnership has already collaborated in sponsoring three programs: the Learn 70 Birds by Spring class, which runs from January through March; the Great Backyard Bird Count Open House that was held in February; and the Build a Gourd Birdhouse sessions to be held in March. For information about Thorn Creek Audubon Society membership, events and projects: Thorn Creek Audubon Society, P. O. Box 895, Park Forest, Il 60466, or www.thorncreekaudubonsociety.org. The Wednesday Morning Walkers takes place each Wednesday from 9 a.m. to 10:30 a.m. This free activity is for those ages 13 and older. Follow the forest’s seasonal changes, enjoy light exercise and experience nature first-hand on 2 miles of Thorn Creek Woods Nature Preserve’s winding trails. Trails can be wet or muddy, so please wear sturdy shoes. Hiking is on natural surface trails across uneven terrain. Registration is required two days before your first walk. For additional information or to register, call 708-747-6320. On Saturday, September 16, The Cancer Support Center will host their first ever Survivor Camp. The event is free and will be held at The Conference Center at Prairie State College at 202 S. Halsted St. in Chicago Heights. Registration will begin at 8 a.m. and the event will start at 9 a.m. and run until 2 p.m. The event will feature guest speakers from some of the most well-known healthcare professionals in the area including Rev. Carl Williamson from Cancer Treatment Centers of America, Betsy Campione PT, DPT, CLT-LANA from Balance Fitness for Life and Liz Gold, MS, RDN, from Block Center for Integrative Cancer Treatment. Additionally, there will be a resource fair for participants to gather information regarding potential beneficial services. This event is entirely free and is open to anyone who has battled or is currently battling cancer. Caregivers are welcome to join and take part in the sessions as well. To register for the conference, please visit http://cancersupportcenter.org. The Cancer Support Center gives strength, guidance and support to anyone living with a cancer diagnosis, as well as to their loved ones. The Center is a community-based, volunteer-driven, donor-supported organization. Programs, resources and services are delivered by professional therapists, counselors, nutritional educators, and experts; and are provided in a warm, nurturing setting at no cost to participants. The Center has two locations, 19657 S. LaGrange Road, Mokena, and 2028 Elm Road, Homewood. For more information about The Cancer Support Center, please email Brandon Newberry at [email protected] or call 708-798-9171. For more information about Prairie State College, visit prairiestate.edu or contact Andrea Small at 708-709-2948. Move your arms and maintain good posture. Don’t forget a water bottle to stay hydrated. For additional information or to register for the weekly walks, call 708-748-1118. Yoga classes by Karen Nielsen are available at UUCC on Mondays and Thursdays from 9:30 a.m. to 11 a.m. and Wednesday evenings from 7 p.m. to 8:30 p.m. No reservations needed. Drop-in fee is $10 per class and the 6th one is free. For additional information, call 708-755-3577 or visit www.uuccpf.org. NOTE: Yoga classes will NOT be held on Monday, September 4 due to the Labor Day Holiday. Learn to enjoy the simple and straight-forward practice of meditation. Please join us for sitting and walking meditation in the Zen and Theravadan Buddhist traditions. This is an on-going event led by Steve McCabe and Beverly Feldt will be held on Saturdays from 9 a.m. to 10:30 a.m. at UUCC. There is no cost but a free will offering is most appreciated (proceeds go to UUCC). For additional information contact Steve McCabe at 708-465-3116 or Beverly Feldt at [email protected]. The Park Forest Farmers’ Market is open every Saturday thereafter through October 28 from 7 a.m. to noon. The Market is located on the corner of Lakewood Boulevard & Cunningham Drive in DownTown Park Forest. Since 1974, the Park Forest Farmers’ Market has been connecting area residents with local farmers, food vendors and businesses. The Market hosts 22 full spaces with a variety of fresh flowers, fresh fruits and vegetables, bakery goods, herbs and dairy products. Local businesses are also on hand at the Market selling artwork, garden ornaments, jewelry and more. The Market accepts LINK/Snap card as well as Double Value Coupons & Senior Nutrition Coupons. Additional information about the Park Forest Farmers’ Market can be found here. 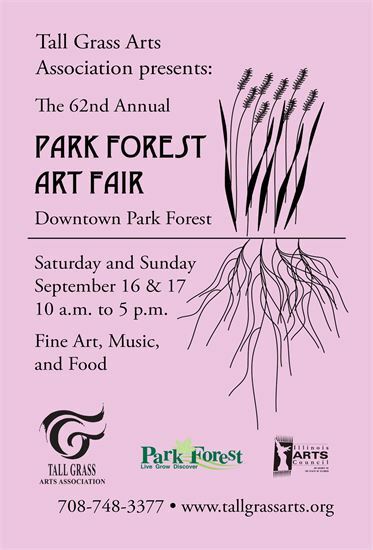 If you are you a farmer, food vendor, or civic group who would be interested in a booth at the Park Forest Farmers’ Market, call the Park Forest Health Department for additional information at 708-748-1118. The 2017-18 South Suburban College Baseball Team is hosting their 12th Annual Bulldog Baseball Golf Outing to raise funds for athletic equipment and travel costs for nationwide tournaments. The Bulldog Golf Outing will take place on Friday, September 15, 2017, at Lincolnshire Country Club, 390 E. Richton Road in Crete. Registration begins at 11 a.m. with a shotgun start at noon. The cost is $150.00 per golfer or $500 for a foursome, which includes golf (four‐man scramble) with dinner and door prizes to follow. Hole sponsorships are also available for $100.00. For more information please contact Head Coach Steve Ruzich at 708-596‐2000, ext. 2413, or email [email protected]. Checks should be made payable to “South Suburban College Baseball” and delivered to 15800 South State Street, South Holland, IL 60473. Hole sponsors should indicate what to display on the sponsorship when sending in the check, and must be returned by September 11th. Park Forest People of Faith will gather for peace prayers at St. Irenaeus Church on Wednesday, September 6 at 7 p.m. All are invited to attend. Back by popular demand, the Village-wide Garage Sale returns September 15 – 17. Do you have items in your home you no longer need that could be sold for a few dollars? Do you love discovering a great deal at a garage sale? The Village-wide Garage Sale allows both sellers and buyers the opportunity to enjoy the benefits of over 100 sales within blocks of each other. Residents interested in participating as a seller should call (708-283-5605) or visit the Village Manager’s Office at Village Hall, 350 Victory Drive, by 5 p.m. on Friday, September 8 to register. Online registration will not be offered. A list of participating locations will be made available at Village Hall and on the Village’s website the week of the sale. Please note that residents are welcome to hold a garage sale anytime during the year, and permits are not required for holding a garage sale. Drop off is by appointment only. For additional information or to schedule a drop-off appointment, call or email Evelyn Sterling at 708-283-5621 or [email protected].